Everybody can become frustrated when driving at times – it’s inevitable. None of us want to sit in traffic for hours wondering when it will ever begin to move, and there’s bound to have been countless times when inconsiderate motorists have pulled out on you without warning. Add these on road frustrations to those faced when we are forced to pay hefty servicing and maintenance costs, and a very angry driver is often the product. 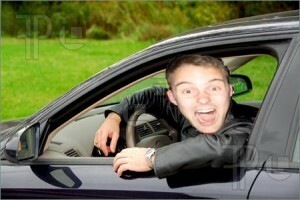 It is important to keep a lid on these frustrations however, as an angry driver can be a dangerous animal. 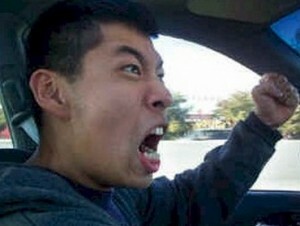 So we have pointed out the top 5 traits or actions of the frustrated motorist to allow you to ask yourself: Am I an angry driver? 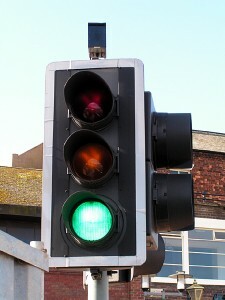 Do you speed up at all costs to avoid waiting at traffic lights, even if it means getting over as they turn red? Remember the lights only take a few seconds to change and you could cause and accident, plus the abrupt stop will not be good for your brakes if you don’t make it. People make mistakes when driving, it happens. You must be prepared for this however, and make a conscious effort not to react in the wrong way. Getting angry and swearing at someone could really ruin their day. If an old lady is driving her Renault Clio a little under the speed limit, try not to get frustrated and beep your horn – this could really unnerve an old person. Simply wait for the right opportunity and overtake. Driving everywhere as fast as you can is never a good idea. Is saving a couple of minutes on your journey really that important? It could cause an accident and you’ll actually find that you’re more relaxed and will enjoy the ride more when you keep to speed limits. If you should make an error whilst driving, don’t immediately look for another motorist to blame. Accept that you have made a mistake and deal with it in the appropriate way, then carry on with your journey and forget all about it.